There are some great quality folding bicycles on the market. We have included as much diversity in our folding bicycle reviews, as possible. The idea being to help you pick the one which best suits your needs. We start by looking at 2 cheap entry level bicycles. Then we have a look what the new premium Dohan bike has to offer you. 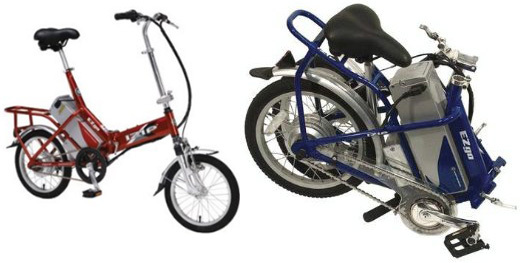 We have also included a review of a folding tricycle and an electric folding bicycle. One of these may be a better alternative for you, than the traditional folding bicycles. 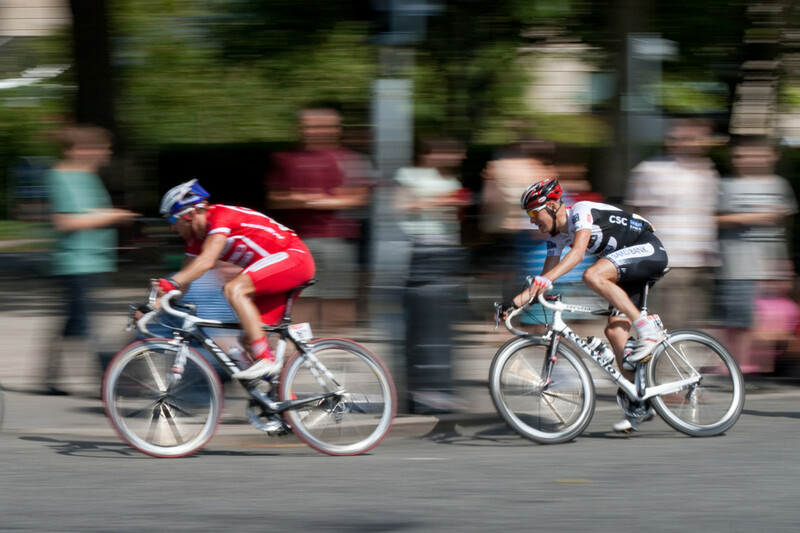 We are reviewing two entry level bicycles and we will be comparing them to each other. It's not really fair comparing the entry level models to the premium ones. The first thing to notice about the Kent is that it's made from aluminum. This makes it much lighter than it's steel competition. It weighs in at only 25 pounds. The second thing is that the wheels are smaller (only 16 inches). This means it folds up very compactly.The dimensions are 27x24x15, when folded up. The downside of small wheels is that you can't go very fast. Indeed you will be puttering along not flying, at a maximum of 15 mph. The weight and size makes the bike better than it's alternatives, for women and teens. The bicycle is compact enough to be taken on the train, bus or put in the back of a small car. The Kent Compact has front and rear breaks, 6 gears and a rear rack for carrying small items. I don't pretend that this folding bicycle is perfect. However considering the price it is the best bicycle in it's class. The Schwinn Loops vital stats are: 29.9x10.2x31.9 inches with a weight of 30.8 pounds. So that's 5 pounds more than the Kent. The Schwinn is a larger than the Kent and harder to fold up. This isn't a problem if you are traveling on a car or train. If you are traveling by bus the Schwinn is a no-no. If you look at the bicycle's frame, you will see there is a loop in the middle. That makes the Schwinn much easier to mount and dismount. If say you are wearing a skirt. With it's twenty inch city tires and 7 gears, peddling the Schwinn up a hill is fairly easy. 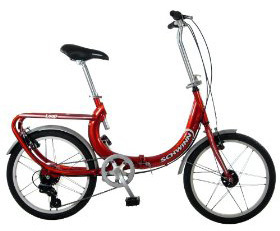 Ultimately the Schwinn feels more like a bike, that happens to fold, rather than a folding bike. The Dahon company dominates the market for premium folding bicycles. The D7 was only put into production recently, allowing the latest technology to be used. The frame is made from 4130 chromoly Sonus tubing. This makes the bicycle both light and sturdy. It weighs in at 27 pounds. This model is much faster than the cheaper bikes. 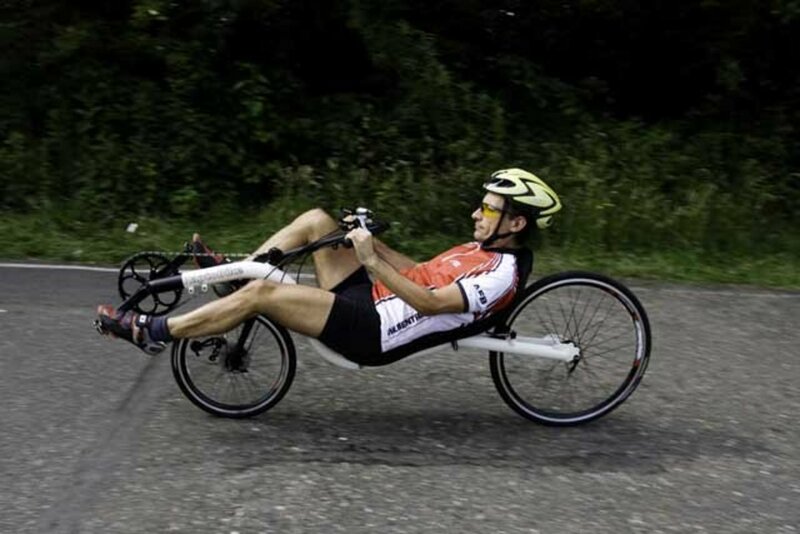 The makers claim that the bike can be folded up in only 15 seconds. I don't know about that, but it certainly is much easier than with the other models. The D7 is great for camping, caravanning and for commuting by public transport. 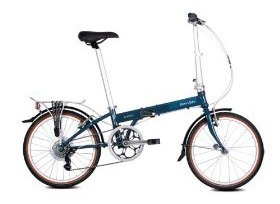 If you can afford it get the Dahon Speed D7. The main feature of the tricycle is that it has a large carry basket in the back. This basket makes it practical for going to the store and pedaling your groceries back home, with you. Just one warning the tricycle has no gears, so hills can be a lot of effort. The one problem with commuting to work, by bicycle, is that you can get all sweaty on the way there. With the iZip you don't have to pedal that hard which means you show up dry and you still save a lot of money. With it's 16 inch wheels the iZip moves OK, but not extremely fast. As you can see from the picture below, the iZip folds up very compactly. I hope you found what you where looking for in folding bicycle reviews 2016, you might also want to take a look at stylish bicycle helmets. I haven't even heard of a folding bike. Where have I been? I suppose it could come in handy if you are limited in space or have to carry it. Izip EZGO Electric Folding Bike , a terribly over hyped bike, range of about 3 miles, I noticed sellers recently changing the description to give the range when pedaling, quite pointless given the range is unlimited if you pedal.